Home AUTO TRADE BINARY OPTIONS BINARY.COM BULL AUTO TRADE INDICATOR STRATEGY IQ OPTION STRATEGY TRADING Short-term Binary Options Trading, How is the Trading Plan? Short-term Binary Options Trading, How is the Trading Plan? If you want to survive long in trading, then consider trading as a planned business. Not only in forex, even this also applies to BO (Binary Options) which often highlight the ease of short-term trading. 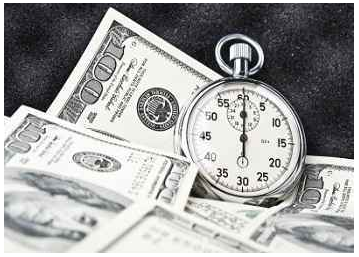 Unmitigated, short-term trading in binary options can only take place in seconds. Of course this will be very influential on the emotions of trading, especially if you are still a beginner. For this reason an established trading plan is needed. Every rule that you set in a trading plan will make it easier for you to make decisions consistently. Given that there are many components in a trading plan that must be carefully prepared, while the available free time for short-term traders is generally very limited, is it possible to arrange a plan for short-term trading? What Is Your Trading Motivation? The main reason you start trading binary options can be a determinant of your prospects in the future. There are many kinds of reasons that can motivate someone to become a binary options trader, from the natural to the impossible. Some of them are: "I want to be a trader who is profitable and achieves consistent results in the long run", or "I want short-term trading to meet my life needs", and even "I want to get big profits, with a target of 500 USD per hour" . From the example above, it is clearly not, which is the most unrealistic goal? Then what is the relationship between the success of trading with this initial motivation? In short, the more realistic your trading reasons, the easier your goals will be. With less realistic motivation, you will be easily encouraged to implement high-risk ways to reach the target. You will also find it easier to deviate from the trading plan if you feel that the rate of profit gained so far is still lacking. Conversely, if you have had a realistic trading reason from the start, you will be more protected from the urge to take high-risk methods. This is because you have adjusted your motivation and targets according to your level of ability. Also, isn't it better to get a fair but consistent profit, rather than the enormous profits but the certainty is not reliable? If you are a beginner, start trading binary options for realistic reasons. The profit target does not need to be too high, the important thing is that it is in accordance with your readiness to accept the risk. If later you can become a binary options trader who gains profits consistently, the target size can be enlarged as your trading skills grow in the future. What Is Your Trading Method? This is one of the most important elements in a trading plan, because this is where you begin to design the entry and exit rules. Setting open and close positions is actually simple. There are already a number of short-term binary options trading methods that have been reviewed, such as the 15-minute strategy, the 5-minute method, and the 60-second trading technique. You can use one of the trading tips that can be used in the strategies above, or apply your own formula. Most importantly, just apply the strategy that you have tested before on a demo account. When you are sure that the strategy is indeed suitable and profitable for you, then make that method as part of the trading plan. What are your Money Management Rules? 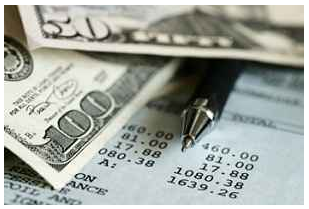 It's not difficult to manage money management in trading binary options. The easiest way is to determine what percentage of maximum risk per trade you can tolerate. Because the size of trading binary options is determined directly in units of Dollars, you can directly specify the amount of risk as the number of capital per position. For example, you are trading binary options with a capital of 1000 USD, and the maximum loss risk limit that you can tolerate is as much as 5 percent per option. With this calculation, you can just set a capital of 50 USD for each option that you open. Easy isn't it? This certainly does not take much time in planning, and is very compatible if you are short-term trading in binary options. Actually, there are many binary options brokers offering refund facilities. With this feature, the acquisition of binary trading is not just a matter of "all or nothing" anymore. Refunds can return part of your capital during loss. Let's say a broker has a refund rate of 30 percent, then with a capital of 70 USD, the risk of your loss is still in line with the original plan, which is a maximum of 50 USD per trade. Can open options with larger capital, but the risk remains limited, of course, very profitable. Because in binary options, the provision "the greater the capital, the greater the profit gained" applies. Unfortunately, not all brokers provide refunds. To see what brokers have this facility, you can open this article. How often is the frequency of your trading? It is common knowledge that short-term traders tend to be more active in monitoring charts. Briefly open the chart, intermittently looking for entry opportunities. There are even traders who continue to sit in front of the PC for a full day. Even if you are trading with a 60-second strategy, the best opportunity is clearly not shown every minute. Those who don't want to miss the moment usually make use of automated trading devices. But even without a tool like this, you can also enter short-term trading on the right opportunities. How to? Arrange and obey your trading plan. At the start of trading, you can set at what time you have time to monitor the chart. This timing is generally adjusted to your level of activity and pair trading. If you have found the most compatible trading time, then be active only at that time. Maybe you will lose the opportunity in certain sessions, but if you are forced to look at the chart when you do not have much free time, then the results will not necessarily be maximal. Besides scheduling trading time, don't forget to make sure that you still have free time to rest. Even though it looks trivial, this is very crucial because it is related to the stability of your emotional and mental trading. What's more, short-term traders tend to be in greater stress pressure than the more relaxed long-term trading. Have You Set a Question Checklist? Have all entry criteria been fulfilled? Is it true that my capital is calculated? Is my trading still influenced by emotions? In essence, it will be much better if you can set a rule that can be used as a guide, both before, during, or after trading. LEARN TO How does Average True Range (ATR) Help Increase Profit? How is your Trading Discipline Development Plan? A trading plan has been created, and a question checklist has also been designed, but this is still not enough to ensure your trading discipline. After all, you alone are free to apply, ignore, or deviate from the trading plan that you created yourself. 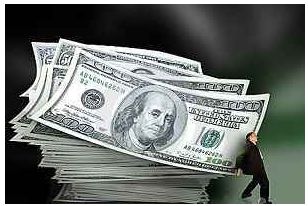 In trading binary options, there is no penalty if you suddenly decide not to be disciplined. The impact will be on the losses you will receive. So if you don't want to suffer a large amount of losses, or close your account early because you are running out of funds, then increase your discipline to the trading plan. For some traders, building discipline can be done only by following the trading rules regularly. For others, new discipline will be formed after experiencing the negative effects of a lack of sense of discipline: loss in large numbers. Of course, developing discipline from the start will be much better than having to feel the bitter loss first. Always remember that good planning will not be useful if it is not carried out with discipline. No person from birth has been very disciplined, because the level of discipline is something developed through the process. For that, start building your discipline from the beginning before being affected by the dangers of trading without discipline. Short-term traders are the type of traders who most need a trading plan, but also most often ignore it. The short term trader generally does not have much free time to finalize his trading plan. So that the easiest alternative that they ultimately choose is trading as is, without the need to fuss over the components of the trading plan above.